Many activations are taking place within you and Gaia ~ Mother Mary and Grandmother Anna, Galaxygirl. Many activations are currently taking place within you and inside dear Gaia as well. Message from Mother Mary and Grandmother Anna. 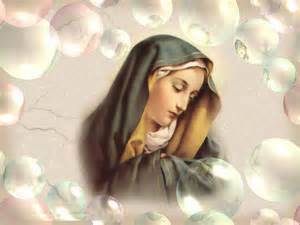 Dear heart, it is I your Mother Mary here with my mother Anna. Today we speak as one, as one voice, just as soon humanity will speak as one voice. Many activations are currently taking place within you and inside dear Gaia as well. Together you are morphing into great light, expanding into greatness. Your DNA is changing, morphing rapidly like glittering sunlight on clear water, constantly glimmering, glittering, morphing as we speak. Light language encodements will help at this time and we encourage you to listen to as much light language as you can, as this one has been doing, for it is yet another tool of expansion and a powerful one that that. There are many blessed light workers with this gift, and many more to yet discover it. Ask for this gift to be unveiled to you and it shall be. Many other gifts are also coming online in this Now, this most sacred time of expansion. Do you remember your lessons learned in the mystery schools? You have learned many lessons, and you have many talents. Ask us to help you to remember and to hone your gifts. We are here to assist you. You have no shortage of love and helpful hands surrounding you, asking for connection with you to assist you further. You were not meant to do this alone, and we are most pleased when you offer your hands outstretched to grasp ours. We are waiting for you. We are listening to your prayers and supplications. We are an extension of you. Your grit, your strength is within you. It is not within us. It is within you. You are strong enough for this, we are here to simply remind you and to help you remember this strength. For your experiences have done the honing part of your faith, and your faith is clear, strong, a solid fortress of perseverance. Now is the time for such faith. We see tears of pain mixed with tears of joy streaming down Mother Gaia’s face as the births draws near, the final push is always the most painful. The release is almost here. You children, friends, beloved ones, you will be most needed. You are most treasured for your offering of service in this most pregnant now. For your skills, your talents, your fortitude, your strength is most needed in this in-breath and this out-breath of creative expansion. I Anna, had many children, as did Mary. You are all my children. We see you with the glowing look of love of the mothers who have had their dreams fulfilled. You are our dreams, you are the great joys of our hearts, and we see you as holding the chalice of the Christed light, the Christed covenant, fulfilling your light duties with joy and perseverance on Gaia’s surface at this time. Thank you. I am Mother Mary. I too had many children, I am privileged – we are – to be a part of your family, the matriarchs of the ages who have watched over you, seeded the codes and watched our beautiful garden grow. You are our garden, precious light workers. (Crying). Our tears have watered your expansion. Your own tears have caused your roots to yet deepen deep down further, causing you to become even more steadfast than you once thought possible. But now you know that all things are possible. For you have done it. You have grown a beautiful garden of light on a planetary surface that was once dark and suffering. The time of blood and pain is over. The time of clear water and joy is here. It is time to plant your own garden of light in your communities and create even further expansion into yet more joy. And so how do you do this dear ones? You create with intention of growing the Christed light within and it will be a natural expansion outward. You find the needs in your communities. You create safe places for the suffering. Some of you may call them safe havens. It is true. But do you see that wherever you go, precious grounded team, YOU are that safe haven with your aura of love and pure acceptance for the others? You are our hands and feet in service, in love, in total surrender to the Almighty’s plan. You are mini-safe havens for the sufferers. And so expand together. Create together. Build together as one, becoming the many becoming the one. We are the Matriarchs of this project, of the Christed light codes and it is with great joy that we are watching over you dear ones now and sending you our mantle of the Magdalene light to enshroud you in comfort and healing. Accept these codes of the Christed light of the Magdalene, of the Sophia flame, the divine feminine, and alight your many paths with the pure light, with divine intention, with pure love. And you will be lead, step by step, rose petal by rose petal, along your one true path. For you all have your own unique path, of course. Such is the way of expansion, of individuality. But together, this beautiful planet will be covered with the pink roses of the divine feminine, all leading you home. We see you have the faith for this and it warms our hearts to the point of overflowing with tears of joy. We see you have the love for this and we see eager hands and feet. When the flash comes children, when the cosmic out-breath equals the in-breath of potential – and it is not much longer now – all will make more sense to you. All will be more clear. For the dross will lift. You will be lighter. But there is no need to wait. Be light now, in our love, in our encodements, in our joy and allow the divinity within you to rise up to your full potential now. There is no need to wait any longer. Accept the divine mantle of the Magdalene and be coated in our light, in your own radiant Christed light and let all that you do and say be encoded with light and love. Such is the Magdalene way. We see that you remember. The divine is within. You are all our children. We welcome you home. This has been a most arduous path, but now look before you! Look at your Christed feet and see the rose petals strewn before you with our love! All you have do to is listen to your heart and follow your heart. Follow one rose petal at a time. The Divine Mother of course will guide you on your unique path for co-creating Nova Gaia. Of course. You have been lead this far. And so we say do not worry. For the opportunities for service will fall in your lap. Where you are is where you will be needed. Otherwise you will be moved to the most perfect place. See your hands and feet? They are ready for service. See your heart? It is open and pure, full of light. And there we are within it, co-creating with joy with you, watching you expand yet even more into the divine masters that you already are. You are mighty! Many of you will lead and all of you will lead by example of your divine service to the others. There will be confusion. There will be pain. There will be clarity. There will be healing. There will be an expansion of the total divinity codes, of the Christed light divine Sophia codes permeating, radiating, covering, encasing, healing all that are in their path such that ALL WILL BE LIGHT. And there you will be in the midst of it, being the divine mother in form, healing, showing, quietly serving. Such is beautiful to us, to all of us up here on the ships. For the entire universe watches and waits with baited breath to see what you will do next. We know you will do wonderful things. We are here offering our divine support around the clock for you dear ones. Yes. You need only ask. When you are weary, come, walk with us to the Magdalene sanctuary of the hidden cave that is surprisingly light, lit with a thousand candles so that you can truly study the flame and realize that flame of purest light is within you and has been this whole time. This whole experience of the game, of Gaia’s decension, as been fraught with unimaginable pain. And yet with pain comes tremendous growth. You have all grown – you are growing and expanding hourly. Do you feel it? We see it. We see your expansion, your confidence, your grit. We applaud you and again offer our mantle of service, of healing, of comfort to you dear grounded ones. That is all. We are Mother Mary and Grandmother Anna. Blessings and tremendous love and support to you this day, and always. We are sending you rose petals of the Christed light, showering over your precious heads now. See them gently falling over you, landing in a pool of light surrounding your precious feet. A perfect circle of roses from the divine mothers encircles you. Now and for always. We love you so. All articles are of the respective authors and/or publishers responsibility. Individually you can be helped to find your Truth that is different of everyone. If you use discernment you are free to research with an open mind.